New Delhi : Apple has increased prices of all its smartphones in India by up to Rs 2,500, after the Indian government proposed an increase in excise duty on mobile phones imported into India to 12.5% from existing 6%, as part of its attempts to push local manufacturing in the Union Budget 2015. Following the increase, iPhone 5S will now start at Rs 47,000, iPhone 6 at Rs 56,000 and iPhone 6 Plus at Rs 65,000. The 32GB variant of iPhone 5S will now sell at Rs 51,500(old price - Rs 49500). The price of iPhone 6 16GBwill increase by Rs 2,500, while its 64GB will now cost Rs65000 (old price - Rs 62,500) and the 128GB version will set you back by Rs 74,000(old price - Rs 71,500). The iPhone 6 Plus will now cost Rs 65,000 for 16GB, Rs 74,000 for 64GB and Rs 83,000 for 128GB models, a hike of Rs 2,500.
iPhone 6 comes with a 4.7-inch HD (1334x750p) display and is powered by A8 processor and 1GB RAM. 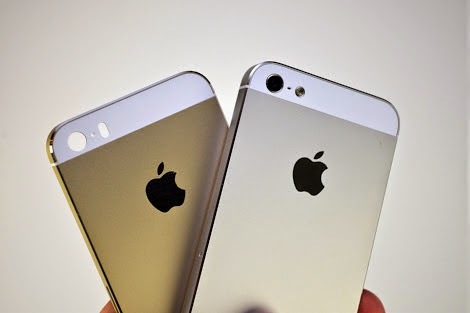 The smartphone runs on iOS 8 and its rear camera is of 8MP. However, some online stores are offering the same iPhone models with huge discounts. They come up with promotional campaign almost every week. A few days back, Amazon India had carried out an exclusive Apple iPhone week offering cash-back and gift-card vouchers.